Want to write your name in the sky? 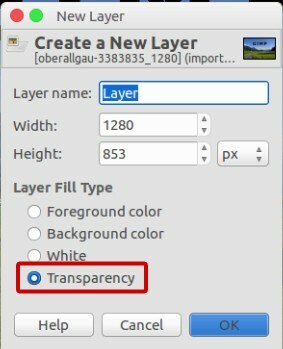 It takes less than 5 minutes to do so in GIMP. But first, you need to install additional brushes since GIMP has no cloud-shaped brush by default. By the way, how to install new brushes in GIMP? You can visit this article to do so. 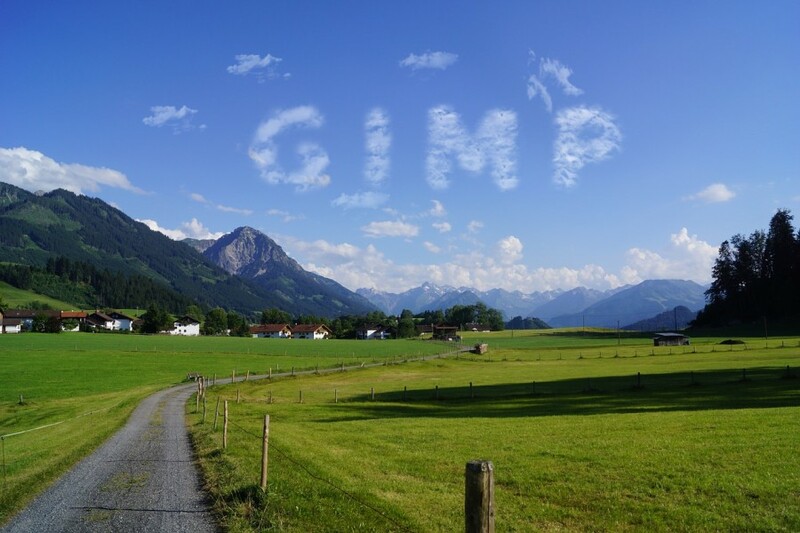 To write a certain text in the sky with GIMP (that looks like clouds), you will be working with Paintbrush Tool. As you have known, you can choose different brush types when working with Paintbrush Tool in GIMP. With a cloud-shaped brush, writing a text in the sky is not a difficult job. As I said, the very first thing you need to before being able to write a text in sky is installing cloud-shaped brushes. I have a recommended link to download a set of cloud-shaped brushes here. And you can visit this post to install it in GIMP. 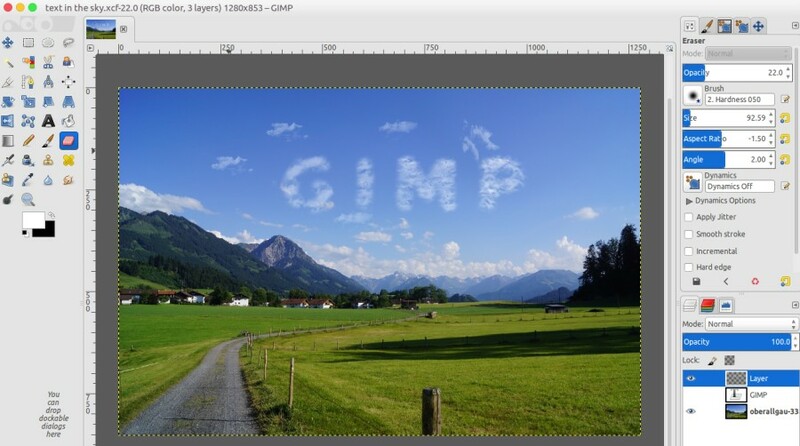 In addition to cloud-shaped brushes, you definitely also need a sky image. So, prepare it before getting started. Once you ready, follow the steps below. Launch GIMP on your computer and go to File -> Open to open the sky image you have. Click the Text Tool on the Toolbox panel to add a text to your image. Set the space between letters a bit wider to get a more realistic cloud text. 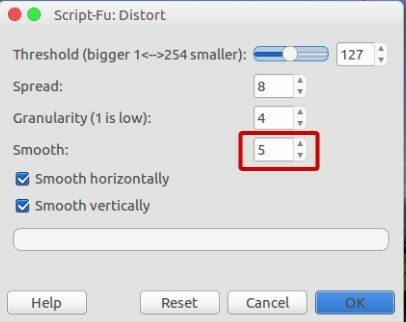 Go to Select -> Distort and set the Smooth value to 5. 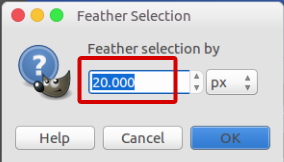 Go to Select -> Feather. Set the value to 20px. 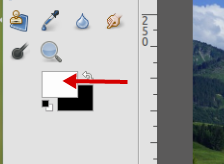 Select the transparent layer and click the Paintbrush Tool on the Toolbox panel. Select one of the available cloud-shaped brushes. Make sure the foreground is white. With the Paintbrush Tool selected, brush the text area. You can use different cloud brush for each letter to get a better result. Turn off the visibility of the text layer. Still on the transparent layer, click the Eraser Tool on the Toolbox panel and set the brush type to “Hardness 050”. Lower down its opacity to about 40. With the Eraser Tool selected, erase the text area to soften the cloud effect. Still on the transparent layer, click the Paintbrush Tool once again and set the opacity to about 30. Select one of the cloud brushes to add some clouds around the text. Done! Following is the example of the cloud text I created.